Home » »Unlabelled » This chef stacks potatoes in a muffin tray. When they come out of the oven, her guests are baffled. 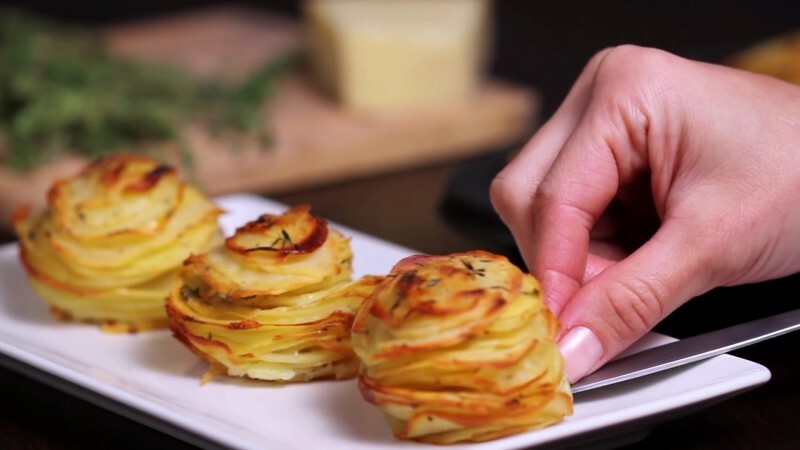 This chef stacks potatoes in a muffin tray. When they come out of the oven, her guests are baffled. 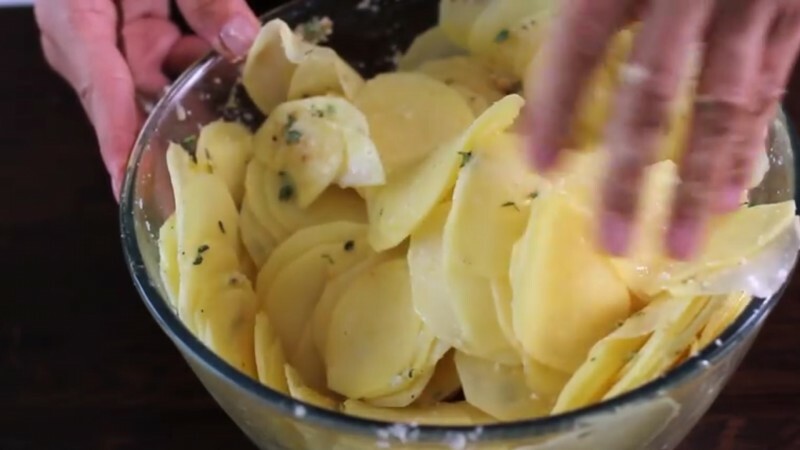 Your mouth will begin to water just looking at these potato delicacies. They taste delicious and look amazing, but best of all, they are really easy to make! Grab the following ingredients and away you go! Grease 12 muffin forms with half of the butter. Peel and wash the potatoes. Cut them into slices about 2mm thick. If you have amandoline, it's a lot easier! 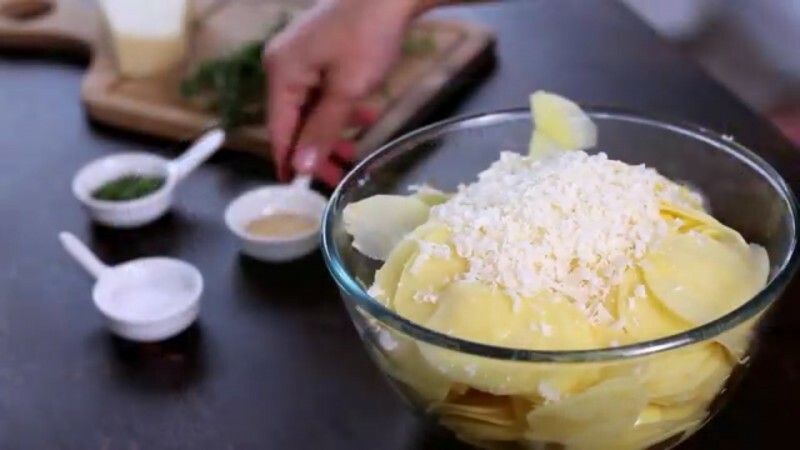 Grate the parmesan and add it to the potato slices. Season with salt, pepper, garlic, and thyme. Melt the remaining butter and pour it over the potatoes. Mix everything together well. Doesn't it already smell fantastic? 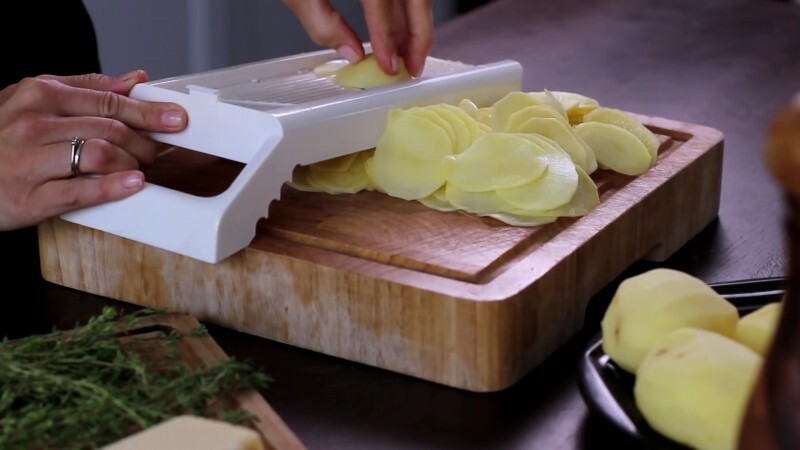 Stack the potato slices on top of one another in the muffin tray. Sprinkle a little more pepper and thyme on top of the stacks. 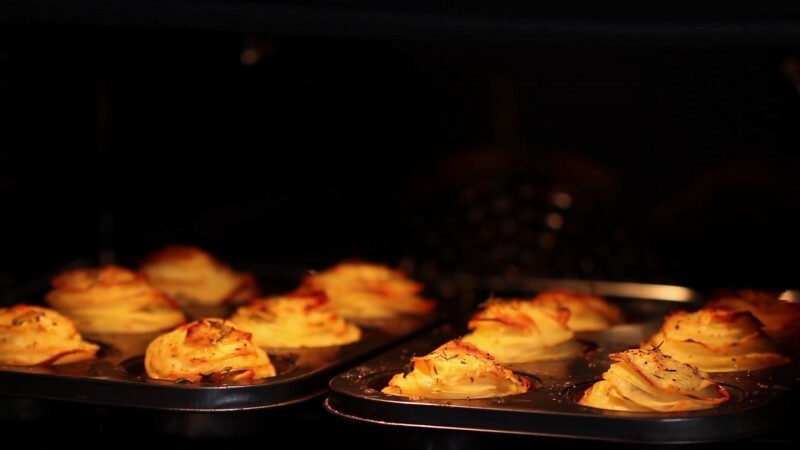 Bake the potato stacks in a preheated oven at 190° for around 55 minutes. Allow the towers to cool for a couple of minutes before using a knife to remove them from the tray. Now, simply arrange them nicely on a plate, garnish with a little more parmesan and thyme, and finally, fill that hole in your belly.